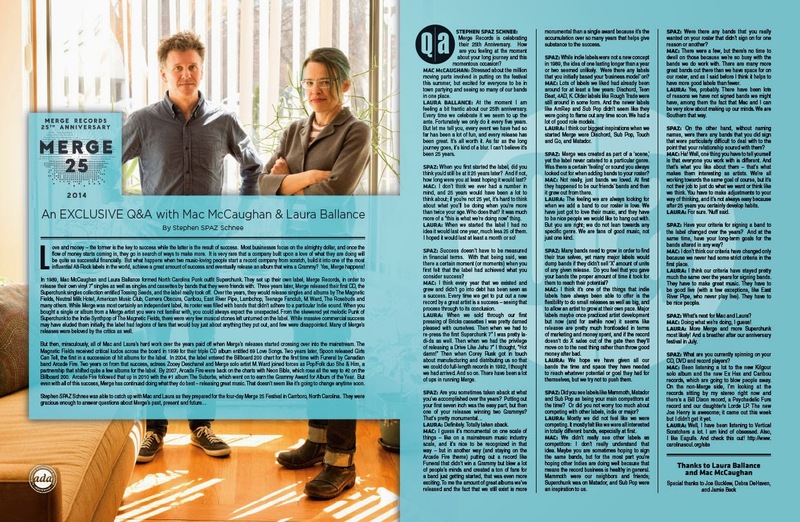 Discussions Magazine Music Blog: MERGE RECORDS' 25th Annniversary: An EXCLUSIVE interview with MAC McCAUGHAN and LAURA BALLANCE! 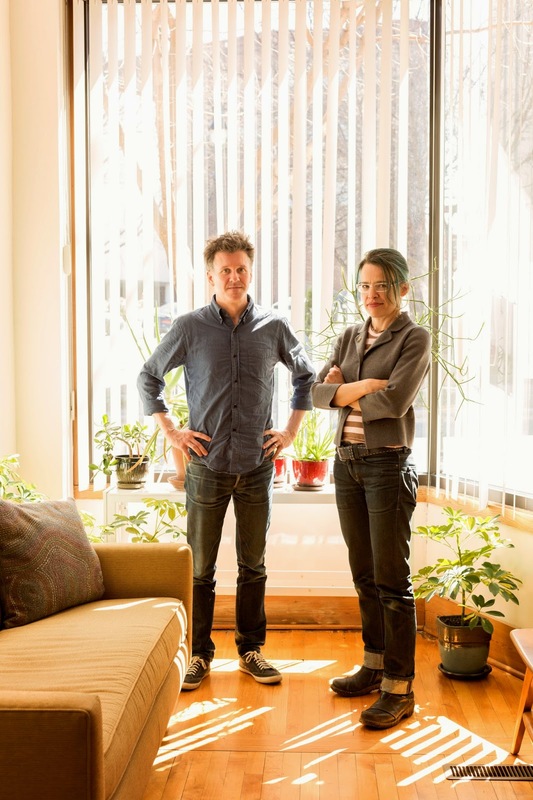 MERGE RECORDS' 25th Annniversary: An EXCLUSIVE interview with MAC McCAUGHAN and LAURA BALLANCE! Love and money – the former is the key to success while the latter is the result of success. Most businesses focus on the almighty dollar, and once the flow of money starts coming in, they go in search of ways to make more. It is very rare that a company built upon a love of what they are doing will be quite as successful financially. But what happens when two music-loving people start a record company from scratch, build it into one of the most influential Alt-Rock labels in the world, achieve a great amount of success and eventually release an album that wins a Grammy? Yes, Merge happens! 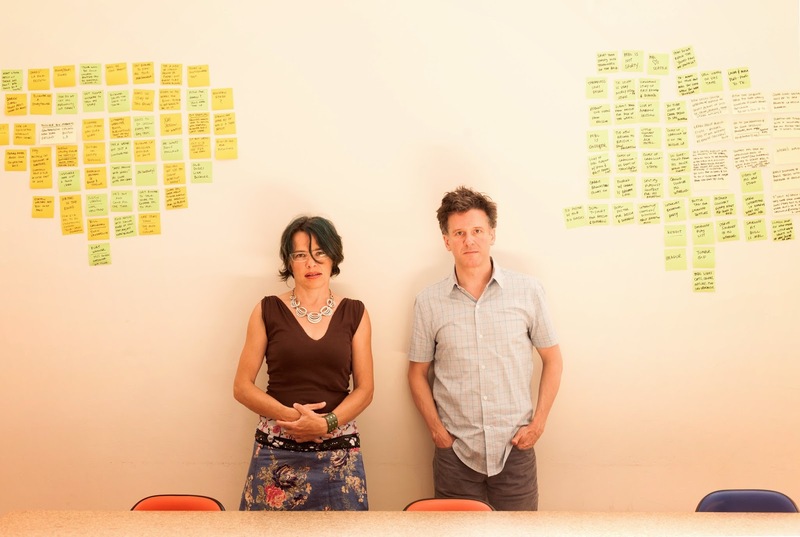 In 1989, Mac McCaughan and Laura Ballance formed North Carolina Punk outfit Superchunk. They set up their own label, Merge Records, in order to release their own vinyl 7” singles as well as singles and cassettes by bands that they were friends with. Three years later, Merge released their first CD, the Superchunk singles collection entitled Tossing Seeds, and the label really took off. Over the years, they would release singles and albums by The Magnetic Fields, Neutral Milk Hotel, American Music Club, Camera Obscura, Caribou, East River Pipe, Lambchop, Teenage Fanclub, M. Ward, The Rosebuds and many others. While Merge was most certainly an independent label, its roster was filled with bands that didn’t adhere to a particular Indie sound. When you bought a single or album from a Merge artist you were not familiar with, you could always expect the unexpected. 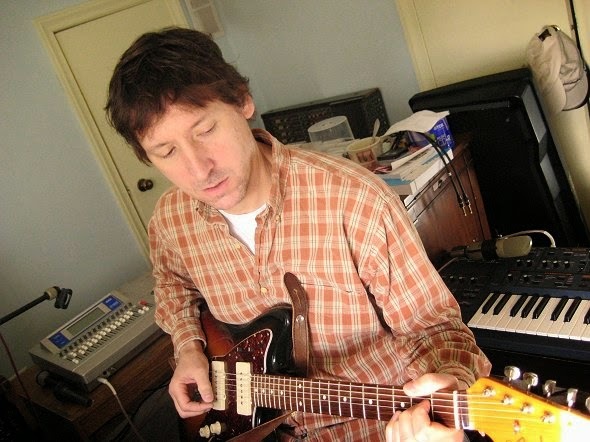 From the skewered yet melodic Punk of Superchunk to the Indie Synthpop of The Magnetic Fields, there were very few musical stones left unturned on the label. While massive commercial success may have eluded them initially, the label had legions of fans that would buy just about anything they put out, and few were disappointed. Many of Merge’s releases were beloved by the critics as well. But then, miraculously, all of Mac and Laura’s hard work over the years paid off when Merge’s releases started crossing over into the mainstream. The Magnetic Fields received critical kudos across the board in 1999 for their triple CD album entitled 69 Love Songs. 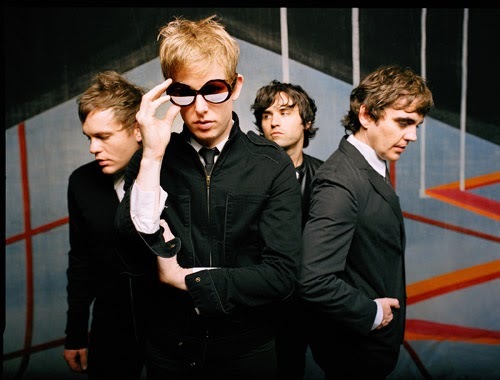 Two years later, Spoon released Girls Can Tell, the first in a succession of hit albums for the label. 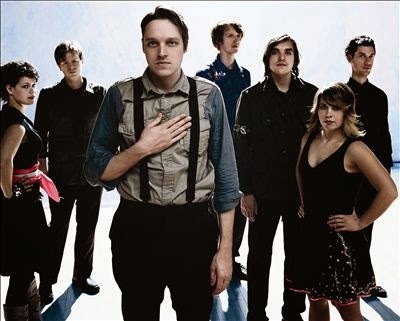 In 2004, the label entered the Billboard 200 chart for the first time with Funeral by Canadian band Arcade Fire. Two years on from that success, actress Zooey Deschanel and Merge solo artist M. Ward joined forces as Pop/Folk duo She & Him, a partnership that shifted quite a few albums for the label. By 2007, Arcade Fire were back on the charts with Neon Bible, which rose all the way to #2 on the Billboard 200. Arcade Fire followed that up in 2010 with the #1 album The Suburbs, which went on to earn the Grammy Award for Album of the Year. But even with all of this success, Merge has continued doing what they do best – releasing great music. That doesn’t seem like it’s going to change anytime soon. STEPHEN SPAZ SCHNEE: Merge Records is celebrating their 25th Anniversary. How are you feeling at the moment about your long journey and this momentous occasion? MAC McCAUGHAN: Stressed about the million moving parts involved in putting on the festival this summer, but excited for everyone to be in town partying and seeing so many of our bands in one place. LAURA BALLANCE: At the moment I am feeling a bit frantic about our 25th anniversary. Every time we celebrate it we seem to up the ante. Fortunately we only do it every five years. But let me tell you, every event we have had so far has been a lot of fun, and every release has been great. It’s all worth it. As far as the long journey goes, it’s kind of a blur. I can’t believe it’s been 25 years. SPAZ: When you first started the label, did you think you’d still be at it 25 years later? And if not, how long were you at least hoping it would last? MAC: I don’t think we ever had a number in mind, and 25 years would have been a lot to think about; if you’re not 25 yet, it’s hard to think about what you’ll be doing when you’re more than twice your age. Who does that? It was much more of a “this is what we’re doing now” thing. LAURA: When we started the label I had no idea it would last one year, much less 25 of them. I hoped it would last at least a month or so! SPAZ: Success doesn’t have to be measured in financial terms. With that being said, was there a certain moment (or moments) when you first felt that the label had achieved what you consider success? MAC: I think every year that we existed and grew and didn’t go into debt has been seen as a success. Every time we get to put out a new record by a great artist is a success – seeing that process through to its conclusion. LAURA: When we sold through our first pressing of Bricks cassettes I was pretty darned pleased with ourselves. Then when we had to re-press the first Superchunk 7” I was pretty la-di-da as well. Then when we had the privilege of releasing a Drive Like Jehu 7” I thought “Hot damn!” Then when Corey Rusk got in touch about manufacturing and distributing us so that we could do full-length records in 1992, I thought we had arrived. And so on. There have been a lot of ups in running Merge. LAURA: Definitely. Totally taken aback. MAC: I guess it’s monumental on one scale of things – like on a mainstream music industry scale, and it’s nice to be recognized in that way – but in another way (and staying on the Arcade Fire theme) putting out a record like Funeral that didn’t win a Grammy but blew a lot of people's minds and created a ton of fans for a band just getting started, that was even more exciting. To me the amount of great albums we’ve released and the fact that we still exist is more monumental than a single award because it’s the accumulation over so many years that helps give substance to the success. SPAZ: While indie labels were not a new concept in 1989, the idea of one lasting longer than a year or two seemed unlikely. Were there any labels that you initially based your ‘business model’ on? MAC: Lots of labels we liked had already been around for at least a few years: Dischord, Teen Beat, 4AD, K. Older labels like Rough Trade were still around in some form. And the newer labels like AmRep and Sub Pop didn’t seem like they were going to flame out any time soon. We had a lot of good role models. LAURA: I think our biggest inspirations when we started Merge were Dischord, Sub Pop, Touch and Go, and Matador. SPAZ: Are you still music fans and collectors? Do you use that ‘music collector’ mindset when thinking up different ideas for your releases? MAC: We started the label as fans and still run it that way, I think it’s a huge help to be in the mindset of the same people you are selling records to. A handmade feeling is something that always appealed to us when we were buying records and it’s something you get with an independent label but when major labels try it you can feel the phoniness. LAURA: We are definitely music fans. I don’t buy records at the rate that I used to, and I probably never qualified as a collector. We try to think about collectors, but we also try not to exploit them. We don’t feel like we should put out a record in three different colors just so the complete-ist collectors should have to buy them all. SPAZ: Merge was created as part of a ‘scene,’ yet the label never catered to a particular genre. Was there a certain ‘feeling’ or sound you always looked out for when adding bands to your roster? MAC: Not really, just bands we loved. At first they happened to be our friends’ bands and then it grew out from there. LAURA: The feeling we are always looking for when we add a band to our roster is love. We have just got to love their music, and they have to be nice people we would like to hang out with. But you are right; we do not lean towards any specific genre. We are fans of good music, not just one kind. SPAZ: Many bands need to grow in order to find their true selves, yet many major labels would dump bands if they didn’t sell ‘X’ amount of units of any given release. Do you feel that you gave your bands the proper amount of time it took for them to reach their potential? MAC: I think it’s one of the things that indie labels have always been able to offer is the flexibility to do small releases as well as big, and to allow an artist to grow at their own pace. Major labels maybe once practiced artist development but now (and for awhile now) it seems like releases are pretty much frontloaded in terms of marketing and money spent, and if the record doesn’t do X sales out of the gate then they’ll move on to the next thing rather than throw good money after bad. LAURA: We hope we have given all our bands the time and space they have needed to reach whatever potential or goal they had for themselves, but we try not to push them. SPAZ: Every music fan I knew in the ‘90s had stacks of Merge releases from bands like Polvo, Superchunk, Seam, Drive Like Jehu, Portastatic, Archers Of Loaf and so many others. Did you realize at the time that your releases were inspiring music fans in the very same way that your favorite bands/albums had inspired you? LAURA: Well, we did not know, but we hoped so! MAC: We knew because fans would tell us, and because people kept buying the records. It’s one of the most gratifying things about having a label or being in a band – knowing that someone is getting out of it what we get out of our favorite labels/albums/bands. It’s still surprising though, especially when you’re halfway around the world (or even across the country) and someone brings an old 7” to be signed or something. SPAZ: Some of my favorite songs of the last 20 years or so have been on Merge (usually the semi-obscure ones like The Rosebuds’ “Back To Boston,” loads of songs by East River Pipe, The Magnetic Fields’ “Born On A Train,” etc.). Are there certain bands, songs or albums on the label that you feel haven’t been given the attention they deserve? MAC: “Back to Boston” is one of my favorites also, totally classic song. There are tons of bands and albums that obviously we think should get more attention! Lambchop I think has always been underrated in this country. The two Matt Suggs solo albums. David Kilgour’s solo albums. The Rock*A*Teens and Tenement Halls records. This past year, the Saint Rich album! Lots more. We’re trying to rectify some of this with our reissue series! But it’s one of the things you don’t have control over – all you can do is hope you get the records in front of as many people as possible, and that it connects. SPAZ: Did you see labels like Mammoth, Matador and Sub Pop as being your main competitors at the time? Or did you not worry too much about competing with other labels, indie or major? LAURA: Mostly we did not feel like we were competing. It mostly felt like we were all interested in totally different bands, especially at first. MAC: We didn’t really see other labels as competitors: I don’t really understand that idea. Maybe you are sometimes hoping to sign the same bands, but for the most part you’re hoping other Indies are doing well because that means the record business is healthy in general. Mammoth were our neighbors and friends; Superchunk was on Matador, and Sub Pop were an inspiration to us. SPAZ: Were there any bands that you really wanted on your roster that didn’t sign on for one reason or another? MAC: There were a few, but there’s no time to dwell on those because we’re so busy with the bands we do work with. There are many more great bands out there than we have space for on our roster, and as I said before I think it helps to have more good labels than fewer. LAURA: Yes, probably. There have been lots of reasons we have not signed bands we might have, among them the fact that Mac and I can be very slow about making up our minds. We are Southern that way. SPAZ: On the other hand, without naming names, were there any bands that you did sign that were particularly difficult to deal with to the point that your relationship soured with them? MAC: Ha! Well, one thing you have to tell yourself is that everyone you work with is different. And that’s what you like about them – that’s what makes them interesting as artists. We’re all working towards the same goal of course, but it’s not their job to just do what we want or think like we think. You have to make adjustments to your way of thinking, and it’s not always easy because after 25 years you certainly develop habits. LAURA: For sure. ‘Nuff said. SPAZ: Since your releases had influenced a new generation of musicians, did you ever find yourself inundated with demos from bands that sounded TOO much like certain bands on your roster? MAC: Not really, we do get a ton of demos – now a ton of links to Soundcloud pages – and a lot are terrible and a lot are really good. LAURA: At times. It tends to go in waves according to the popularity of certain bands. SPAZ: Your personal musical projects (i.e. : Superchunk, Portastatic, etc) seemed to be a full time job itself. How difficult is it to manage the business side of the label and the creative side of being in a band? And how often do they interfere with each other? And I won’t even enter your families into the equation! MAC: The single most difficult thing about this is that there aren’t enough hours in the week. But I’m not interested in only running a label – the reason we started a label when we had a band is so we could do both, and so we could do both in a way we wanted, not in a way someone else was determining. For the most part the two things complement each other. I think that being able to see things from the artist’s standpoint has made us better label owners. And Superchunk is important to the story of Merge and vice versa. And mentally without making music I don’t know what I’d do. And as you say, once you have a family then that becomes the most important thing and you have to just figure out a way to make time for everything. LAURA: Fortunately we have been able to hire people at Merge to help out with a lot of the details of running a record label. We are really lucky to have a great staff, which takes off a lot of the pressure. In the old days when Superchunk would go on tour we would fool a friend into volunteering to check the post office box and fulfill mail order while we were gone and kind of let other things hang until we got back. Currently it does feel a bit crazed though. I am hoping it feels less so after the anniversary. SPAZ: Have your criteria for signing a band to the label changed over the years? And at the same time, have your long-term goals for the bands altered in any way? MAC: I don’t think our criteria have changed only because we never had some strict criteria in the first place. LAURA: I think our criteria have stayed pretty much the same over the years for signing bands. They have to make great music. They have to be good live (with a few exceptions, like East River Pipe, who never play live). They have to be nice people. SPAZ: The internet has been blamed for seriously damaging the record industry. Yet, the internet is one of the best marketing tools as well. How do you feel about the way technology has reshaped the ‘business model’ over the years? MAC: It’s useful as a marketing tool, as you mention, and of course social media allows for fan/artist interaction that for some bands is not only helpful but gratifying and enjoyable for both sides. But in general when everyone can get everything for free, they come to believe they deserve to have everything for free. It devalues everything. Selling albums and songs is harder than ever because of that fact. Streaming isn’t how I ever want to listen to music and very little money is made relative to how many streams go out – this is all documented – but that’s the way things seem to be going so you just try to adapt and keep making things available physically for people who realize it’s a much better way to listen to music. LAURA: You pretty much already said it. The internet has vastly expanded the audience that we can and do reach with the music we put out. It used to be you had to read about one of our records in Maximum Rock and Roll to find out about it, and then write us a letter and send us $3. We’ve come a long way! SPAZ: Some say that the album, as an art form, is near death. Have you noticed a distinct change in the way people buy albums in regards to singles, EPs and individual digital downloads? MAC: Some say that global warming is a hoax. LAURA: I am not sure. I think the album is dead for some people, but others love albums and always will. I feel like some people are growing up with YouTube as their source of music, and those people might not appreciate albums. But lots of other people approach albums the same way I did when I was a kid. SPAZ: What’s next for Mac and Laura? MAC: Doing what we’re doing, I guess! LAURA: More Merge and more Superchunk most likely! And a breather after our anniversary festival in July. SPAZ: What are you currently spinning on your CD, DVD and record players? MAC: Been listening a lot to the new Kilgour solo album and the new Ex Hex and Caribou records, which are going to blow people away. On the non-Merge side, I’m looking at the records sitting by my stereo right now and there’s a Bill Dixon record, a Psychedelic Furs record and our daughter’s Lorde LP. The new Joe Henry is awesome; it came out this week but I didn’t get it yet.